Love this display filled with bright colors! 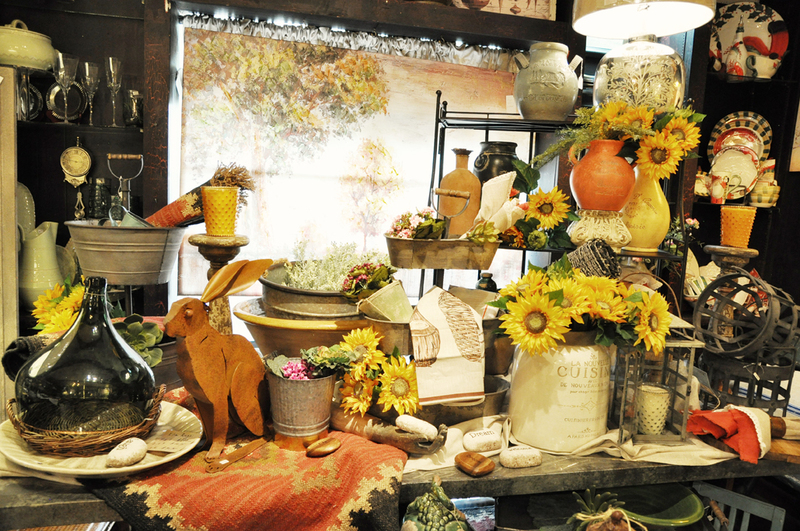 Bright yellow sunflowers and bright and colorful pottery for Summer! 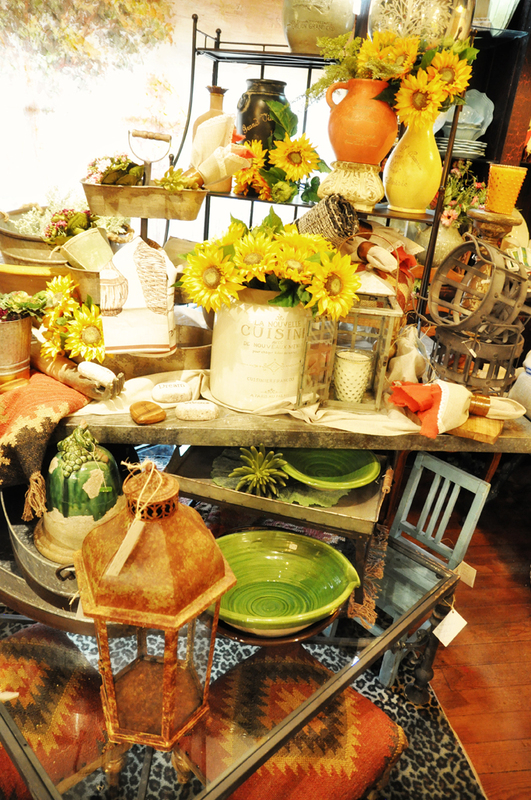 Let us work up a sweet and Summery arrangement to cheer you up.